In the latest edition of CoreLogic's Market Pulse the company's senior economist Mark Fleming provides adifferent take on housing affordability which he says economists are predicting will experience a "shock" in 2014. There is a degree of uniformity in their predictions, he says, that rising rates, increasing house prices and stagnant incomes will soon herald the demise of the era of affordable housing. While Fleming does not argue with the basic premise he disagrees with the view that that news is "shocking." "As I often point out with most housing statistics today," he says, "it is less important to focus on the fact that housing affordability is declining, but rather where it stands relative to historically normal levels." But beyond the historical, Fleming also argues that affordability is actually proceeding along two different tracks, one for existing homeowners and another for those looking to buy their first home. Using the same methodology as the National Association of Realtors® (NAR) and assuming a 20 percent downpayment and a 25-percent qualifying ratio Fleming constructed his own affordability index. Using this he says national affordability was down 17 percent from the previous October and 22 percent from its peak in January 2013. These declines are the result of an 11 percent appreciation in the CoreLogic Home Price Index (HPI) and a 100 basis point rise in interest rates. Yet CoreLogic's affordability measure is 35 percent higherthan in 2000 when mortgage interest rates were 8 percent and home prices were rising more modestly. So Fleming says, though clearly less accessible than a year ago, housing remains affordable in the current market." But that analysis misses an important point. While affordability can vary by market is also varies dramatically depending on whether you are a homeowner or not because homeowners capture price increases in the form of equity. Thus affordability for the first time buyer is a measure of his income, the interest rates, and the price of homes; a homeowner's affordability level is functionally unchanged by increases in the latter. The chart, which is based on a 5 percent downpayment, shows that during the period of 2003 to 2007, declining interest rates improved affordability for existing homeowners but that advantage for first time buyers was more than offset by rising home prices and housing reached its least-affordable level in 2006. Then in 2007 the recession took hold, interest rates began their fall to historic levels, and home prices also declined dramatically, costing existing homeowners their equity but improving affordability for first-time homeowners, putting the two groups on near equal footing by the end of 2010. Fleming said that homeowners have disproportionately lost affordability again over the last two years; down 17 percent for that group compared to 6 percent for existing homeowners. And while first time buyers will still find affordability 35 percent higher than in the early 2000s, affordability for existing homeowners is almost 100 percent above the average back then as modest income gains have compounded and rates are still extremely low. Context and ownership clearly matter Fleming says. "Will a further rate rise and increasing prices in 2014 eventually make housing unaffordable? That will depend, but one thing is clear: First-time homebuyers will be more significantly impacted." With new rules defining Qualified Mortgages (QM) slated to kick in on Friday at least two lenders have indicated they will make room for loans that don't quite fit the government mandated mold. The two, Wells Fargo and Bank of the West, plan to write at least some of the loans, retaining them for their own portfolios. Bank of the West, headquartered in Omaha says it will continue to offer interest only loans to its customers even though the loans fall outside the guidelines established by the Consumer Financial Protection Bureau. Paul Wible, Senior Executive Vice President and Head of the bank's National Finance Group said in a statement this week, "We extensively reviewed the CFPB's rules and found them broadly consistent with how Bank of the West has always done business. At the same time, we know that interest-only loans can fulfill the mortgage needs of many of our customers. Therefore, even though they do not fit the CFPB's definition of a QM, we will continue to offer them as before." Wible said that the bank's analysis confirmed its belief that a well-underwritten, interest only loan could be good for its customers and safe for the bank to hold on its balance sheet. These loans, he said, meet the needs of certain customers such as the self-employed and that the bank will continue to require that such borrowers meet its prudent underwriting criteria. Bank of the West, a subsidiary of BNP Paribas, has assets of $65 billion and operates 600 retail and commercial banking locations in 19 states. On a much larger scale, Wells Fargo, the country's largest home lender is reported to be readying a group to handle nothing but portfolio loans. Bloomberg says the bank has created "a swat team" of about 400 underwriters who will originate mortgages for the bank to hold. As many as 40 percent of the loans are expected to be outside of new government guidelines. Bloomberg said they were told by Brad Blackwell, head of portfolio lending at the bank that the group will review loans that do not qualify for the safe harbor protections of new CFPB rules as a way to increase lending without losing control of quality. The bank's portfolio held $72.4 billion in non-conforming mortgages at the end of the third quarter, 14.5 billion of which Wells Fargo added in the second and third quarters of 2013. HARP myths debunked by Freddie Mac Exec…..
A Freddie Mac senior vice president is using the company's blog to debunk a few myths she says may be keepinghomeowners from refinancing through HARP, the Home Affordable Refinance Program. Tracy Mooney's information about on nine HARP misconceptions might not only be helpful for homeowners themselves but a good resource for lenders to share with customers and the public. 1. Myth One is that refinancing with HARP (or any other program for that matter) would reset the clock and the borrower would again be looking at 30 years of mortgage payments. This, as Tracy points out, is not true as almost any refinancing allows the borrower to pick a term from 10 to 30 years for the new loan. The counterpoint is that most borrowers opt for a 30yr term and this does indeed entail a new 30 years of payments. Even then, if the interest rate is lower and the borrower simply continued paying the original mortgage payment, less interest would be paid over time and the loan would be paid off faster than the original would have been. Bottom line: all things being equal, dropping the rate is advantageous in most cases. 2. Some borrowers have so many offers to refinance coming their way they fear some may be scams. Mooney says that many legitimate offers have specific information identifying the borrower's existing loan such as the account number. Also the borrower can report any suspicious offers at 888-995-HOPE. 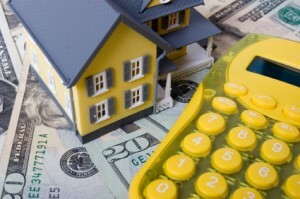 When in doubt borrowers should check with their current lender. 3. Another myth is that HARP can't help homeowners who are underwater on their mortgage. That, in fact, is what HARP was designed to do and has no restrictions on loan-to-value ratios for fixed-rate mortgages. 4. The fourth myth is that refinancing is hopeless for the unemployed. HARP does offer options that might work such as underwriting based on assets rather than income. Borrowers should reach out to their lender to discuss available solutions. 5. It is possible to refinance through HARP even if the borrower's current lender doesn't participate in the program. Freddie Mac and Fannie Mae have lists of lenders who can discuss options and eligibility with anyone. 7. Myth Seven is that condos are not eligible for HARP refinancing. Not only are condos eligible but so are investment properties and second homes. 8. It isn't always necessary to have sufficient cash up front to pay closing costs. Lenders can evaluate whether a borrower qualifies to have closing costs and other necessary expenses rolled into the new loan. Moony said potentially millions of homeowners could save money each month by refinancing through HARP. The program has more than 2.9 million success stories so hopefully if you now know these myths are just that, she says, reach out to your lender and get started with HARP because, "Saving money is a good thing!" You’ve rented for years and are yearning to buy a home of your own. But how do you know what your house-hunting budget should be? Good news: With just a little financial information you can actually do thoseaffordability calculations before you officially begin shopping for a mortgage. Here are the top things lenders typically consider when determining how much house you can afford. One of the first factors a lender will analyze is your debt-to-income ratio, or DTI. Lenders use this measurement to ensure that you’ll have enough income to cover both your new mortgage payment and any existing monthly debts such as credit card, auto loan and student loan payments. Generally most lenders want your debt-to-income ratio, including your anticipated new monthly mortgage payment, not to exceed 36 percent. The ratio is calculated by taking your total monthly debt load and dividing it by your monthly gross income. What does that mean in dollars and cents? Someone who earns $5,000 per month and carries $500 in monthly debt would have a DTI of 10 percent. This borrower generally could be approved for a maximum monthly mortgage payment of $1,300, including property taxes, homeowners insurance and private mortgage insurance. Someone making the same salary but carrying zero debt generally could be approved for a maximum monthly mortgage payment of $1,800. There are several key factors in securing a mortgage loan, and your credit is one of the most important elements. Your credit scores is based on your payment history, overall level of debt, length of credit history, types of credit and applications for new credit. If your credit score falls within an undesirable range or includes unfavorable marks, traditional lenders might be leery of approving you for a loan. You may be able to obtain a loan, but you’ll likely pay a higher mortgage rate, which will ultimately result in a higher mortgage payment. Well before you apply for a home mortgage loan, pull your credit report to review where you stand, and research the requirements you need to meet with your desired lender. Understanding your personal credit profile and the lender’s expectations will help you understand the interest rates you likely qualify for and the terms your loan will likely be. With the exception of Veterans Affairs (VA) loans and some special programs for first-time buyers, a home purchase requires that you have some cash on hand. How much? Anywhere from 3.5 percent of the sales price for a Federal Housing Administration (FHA) loan to as much as 20 percent for a conventional loan. Expect to get a better interest rate if you’re able to make a down payment of at least 20 percent. Keep in mind that the down payment amount doesn’t include closing costs, which are fees related to the purchase of the home. Typically, buyers pay between 2 percent and 5 percent of the purchase price of the home in closing costs. If you have less-than-amazing credit, then you may want to consider waiting to purchase a home and making changes in your spending habits to improve your credit score. Many experts suggest before you even consider buying a home, you should be debt-free and have three to six months of expenses saved — in addition to your down payment and closing costs. Further, Kjellander advises that potential homeowners think long term. The cost of homeownership extends beyond the monthly payment and includes routine maintenance and repairs, homeowners association dues and additional utilities that you might not have paid while renting.